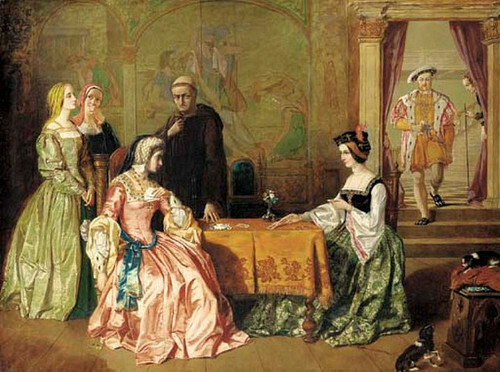 Katherine of Aragon plays cards with Anne Boleyn. . Wallpaper and background images in the Tudor History club tagged: england anne boleyn tudors queen katherine of aragon portrait catherine of aragon. This Tudor History photo might contain drawing room.